Alois Ruf's take on the famed Porsche 930 bumped power up to 374 horsepower, and dropped the 0-60 time below five seconds. It was a phenomenal feat for the late 1980s, and put the Porsche tuning house into a position to take on supercars head to head. While not as wild as the narrow-body 470-horsepower CTR Yellowbird, the BTR was a sledgehammer of a car that deserves to be remembered well. In the Ruf pantheon, it's hardly more than a blip on the radar screen, but we'd be quite happy to have one in our garage. Is it worth a quarter million dollars? That's up to you. This may well be a bargain of a car for a certain buyer. 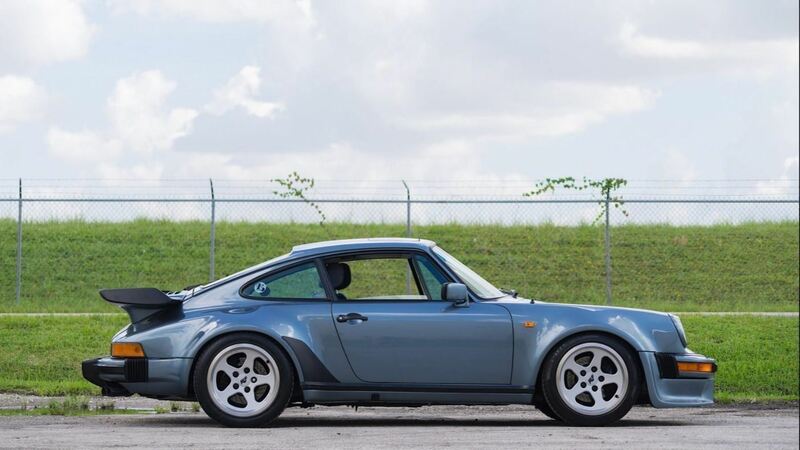 Obviously this is not a true 993 RS, and it clearly has a few chips in the paint that may need attention, but for a proper track car it's hard to go wrong with this one. With a buy-it-now price of $69,500, you'd be hard pressed to find an aircooled track toy for less. 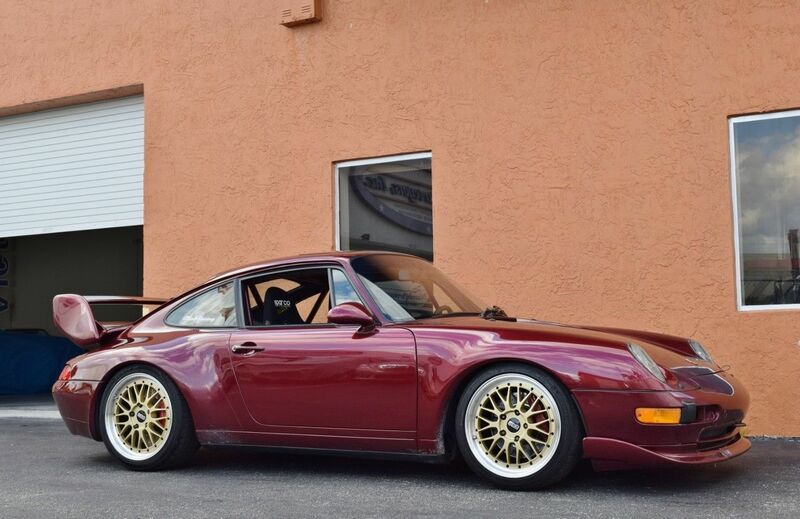 This one has a proper set of BBS wheels, 993 Turbo big-red calipers, a color-matched roll bar, nice Sparco seats, and all of the 993 RS aero you could need to learn consistent laps at your regional PCA DE. While the engine doesn't have proper RS components, it's been kept 100% stock, except the catalysts have been deleted. We bet this one is loud and proud, and we are absolutely in love with the color. This is another example of someone using a beautiful eye-catching photograph to sell an otherwise unassuming car. 964 Carrera 4s are hardly collectors items, and the early 90s models aren't exactly desirable. However, this car appears to be in excellent shape with a few tasteful modifications, and is a veritable bargain below 50 grand. With most Carrera 2s changing hands in the mid-60s, the C4 is a great way to save a few bucks and get 90% of the experience. Just look at those sunset pictures. Don't they make you want this car more than if they were taken in a shabby garage or their boring suburban driveway? 996 Turbo drivers generally fly a bit under the radar. Most 996 Turbos were painted in innocuous colors like black or silver, using their stealth to lull the unsuspecting into complacency, but then unleashing serious horsepower with the slam of the throttle. 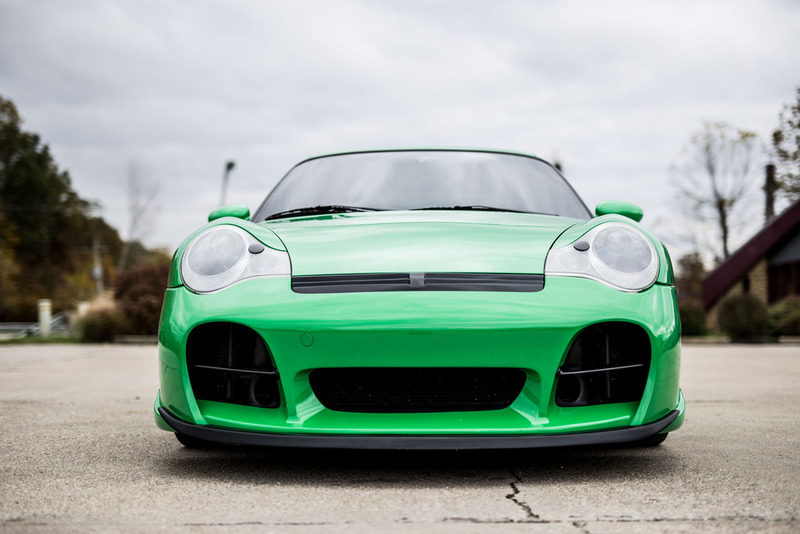 If you really want to show off all of your go-power, this is the 996 Turbo for you. Not only is this one painted in a wild shade of Viper Green, it's also been fitted with a full TechArt body kit for maximum "look at me". We're normally pretty reserved folks, but we can't get over how great this car looks in photos. Speaking of "look at me", you could have this bright white and orange Dutch police pursuit vehicle to bring out to your next Porsche event. You'd be the talk of the town with this Rijkspolitie car, and for good reason. These are very rare, and hardly ever come up for sale. A similar 1986 model sold at Bonhams Spa Classic auction in 2015 for a mega $139,949. The asking price on this one is a staggering $174,900, and we're not sure it will garner such a high price. If it does, however, the owner will have a very rare show piece for their collection. It would be quite cool to see such a car come out to Rennsport next year to rub elbows with the elite Porsche racers.